Divisionals are over! 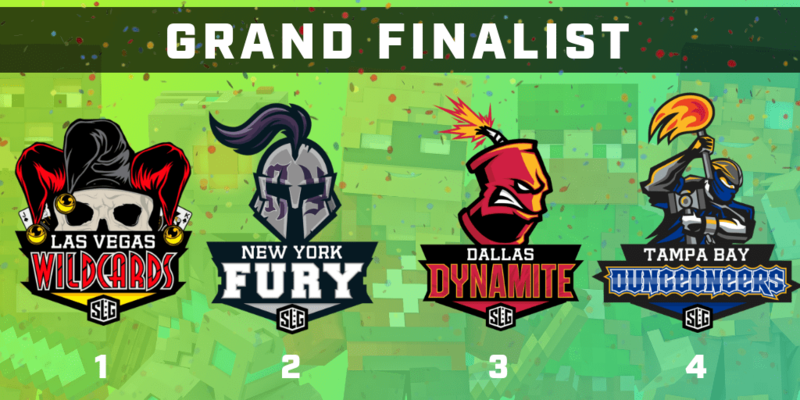 Congrats to the Dallas Dynamite, New York Fury, Tampa Bay Dungeoneers, and Las Vegas Wildcards for making it to the next stage of Minecraft City Champs. With three-time champion Los Angeles officially out of the running, we can’t wait to see which team will take it all in Season 4! 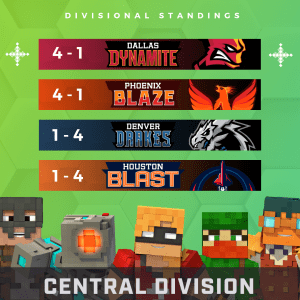 Central Division The Central Division has become very familiar with tiebreakers, as this is what allowed the Phoenix Blaze to finish 3-0 last week and what now allows the Dallas Dynamite to make it to the Grand Final. Of course, Dallas is not surprised; there has yet to be a year where they didn’t make it to the next stage of City Champs… but will this be the year they actually win? 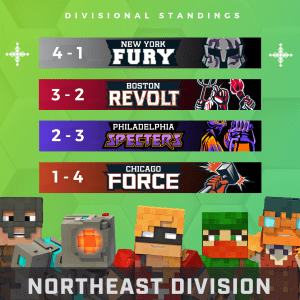 Northeast Division The rivalry between the New York Fury and Boston Revolt was renewed as both teams went into a winner-takes-all final match. After losing to Boston last season, New York regained the Divisional Championship and secured a spot in the Grand Final. With LA out of the way, will this be the year they are victorious? 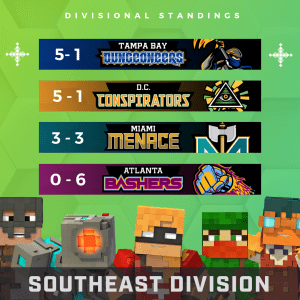 Southeast Division The Tampa Bay Dungeoneers and D.C. Conspirators found themselves evenly matched, leaving it to a tiebreaker to decide their fates. While the D.C. Conspirators went to the Grand Final last season, it was Tampa Bay who secured their division’s place this time around. Their team may be small, but it is undeniably mighty – but will that be enough to win City Champs? 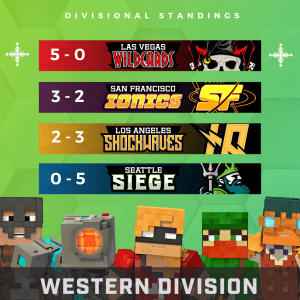 West Division The Los Angeles Shockwaves have always held the Las Vegas Wildcards back from making it to the Grand Final – that ends this season. 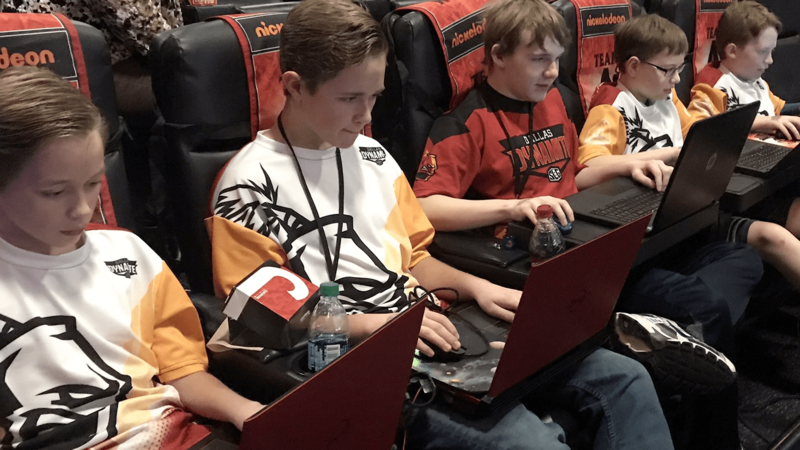 Ending with a flawless 5-0 record, Las Vegas will be representing the West as they battle against other cities across the nation. Can they cap their undefeated regular season with a Season 4 Championship? The Grand Final is on 12/1. Follow us on Facebook, Twitter, and Instagram to see who takes home the title of Season 4 City Champs!